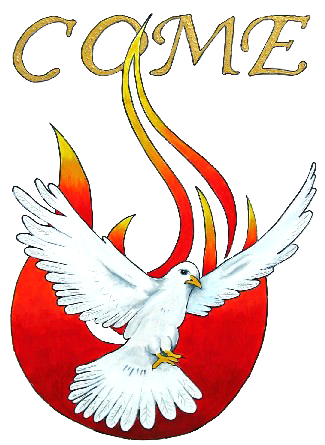 The Baptism in the Holy Spirit is an foundational element in the Catholic Charismatic Renewal. It is a significant, personal, religious experience of the Holy Spirit for the individual Catholic and it is a major element in the renewal of the Catholic Church. References to the Baptism in the Spirit are found in the New Testament, in the early church history and in the modern Charismatic Renewal that is ongoing today. In the early centuries baptism in the Holy Spirit was named the Sacrament of Baptism and the Sacrament of Confirmation was established. These were the sacraments of initiation into the Christian life—but an experience of the Holy Spirit was expected to accompany reception of those sacraments. McDonnell and Montague, “Christian Initiation and Baptism in the Holy Spirit”, p. 108. McDonnell and Montague, “Christian Initiation and Baptism in the Holy Spirit”, p. 217. When Christians receive the sacraments of baptism and confirmation, they usually are not helped to become reliant on the Person of the Holy Spirit, on His guidance, on His Power, on His charismatic gifts. Thus, while they fully received the anointing of the Holy Spirit, in many cases the effects of that anointing were not actualized. The baptism in the Spirit in this instance is a bringing to awareness and a new actuality the graces of initiation already received. In no way does this imply that the ‘original act of baptism was deficient or inadeqate.’ Nor is it just a psychological moment. Rather it is the sovereign act of Christ: Jesus is the one who baptizes in the Holy Spirit. 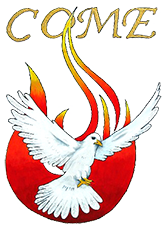 Baptism in the Holy Spirit is the ‘primary’ grace of the Catholic Charismatic Renewal. Experiencing this Baptism in the Holy Spirit is a key part of what makes somebody a renewed person or a Charismatic. The Baptism in the Holy Spirit is an action of God, invited by an individual through prayer, which brings about a deeper conversion to Christ, and which gives the Holy Spirit permission to work in that individual’s life in a more powerful way. This powerful action of the Holy Spirit is often accompanied by the ‘charisms’ or ‘gifts’ of the Holy Spirit mentioned in the Acts of the Apostles and the letters of St Paul. It might help to think of this experience like inviting a good friend to move in with you. You begin to discover more about your friend, and open up some of your own more private thoughts and feelings to them. Being alongside somebody like this brings joy, and having your friend encouraging you, you may grow in the courage to experience new interests and skills you never knew you had! In short, the experience transforms the way you view life. The Baptism in the Spirit is not a Sacrament, but it does revitalise and stir up the graces received in the Sacraments of Initiation (Baptism and Confirmation). Some people consider that in the Early Christian Community, Baptism was such a powerful event in the individual’s life that there was no need for a new stirring up of the Spirit as we need today. In fact, Baptism was only conferred on adults after a lengthy period of catechesis, and only then if there were clear signs of a transformation and conversion in an individual’s life. This process of leading a participant to the baptism in the Spirit is usually done through a seminar titled: “Life in the Spirit.” It is a series of exercises that prepare the participant to surrender more fully to the Lord and to develop a strong expectation that the Charisms of the Holy Spirit will become active in themselves. Through the “baptism in the Spirit” we are led through an enlightenment and conversion process that enables us to receive a fuller experience of the Spirit and His power and charisms in their lives. As we become more reliant on the Spirit, we are led into a charismatic spirituality that is focused on building up others and the Church.